Seattle Mennonite Church – 3120 NE 125th St.
Come and learn about “Build Lake City Together” and how you can help shape the community where you live. 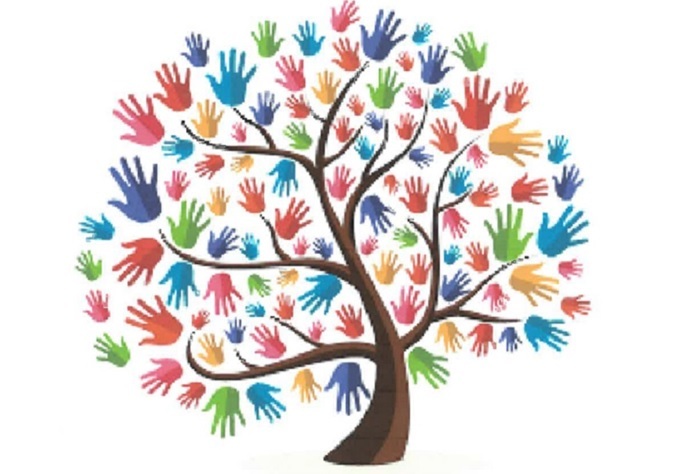 Build Lake City Together is seeking volunteers to participate in the community informed action plan. We need your voice in areas including housing, parks and open space, clean and safe, education, transportation and more. 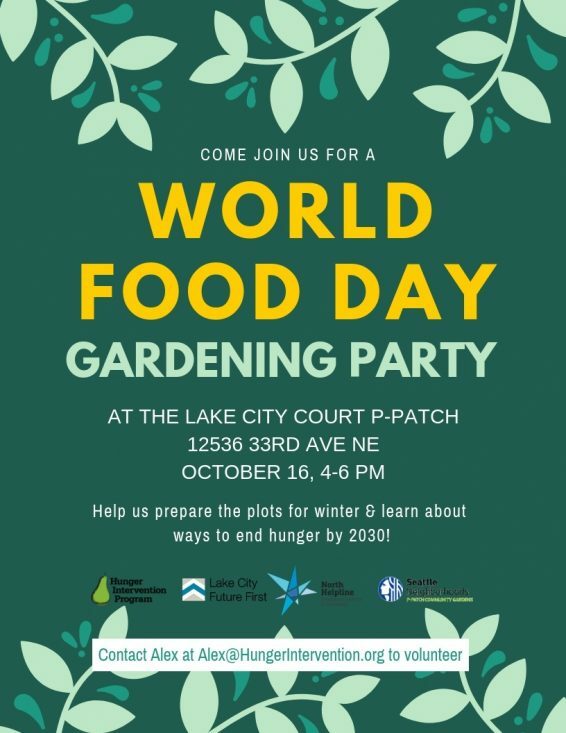 Wan’t to Party on “World Food Day”? The Seattle Department of Transportation is looking for 8 to 10 people to participate in a discussion about finding your way around the city on foot. This discussion is part of a year-long project to design better walking directions and information to encourage Seattleites and visitors to walk more and further. These meetings will provide the City with critical early input from those who have first-hand knowledge of wayfinding challenges in Seattle. The discussion will take place over 2 hours on October 10th at the Central Library (1000 4th Ave, Seattle 98104). There will be an afternoon (2pm-4pm) and an evening (5:30-7:30) session. Volunteers must be available on this date to be considered. Refreshments will be provided. 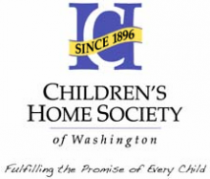 Participants will be acknowledged for their time with a $60 Safeway gift card. 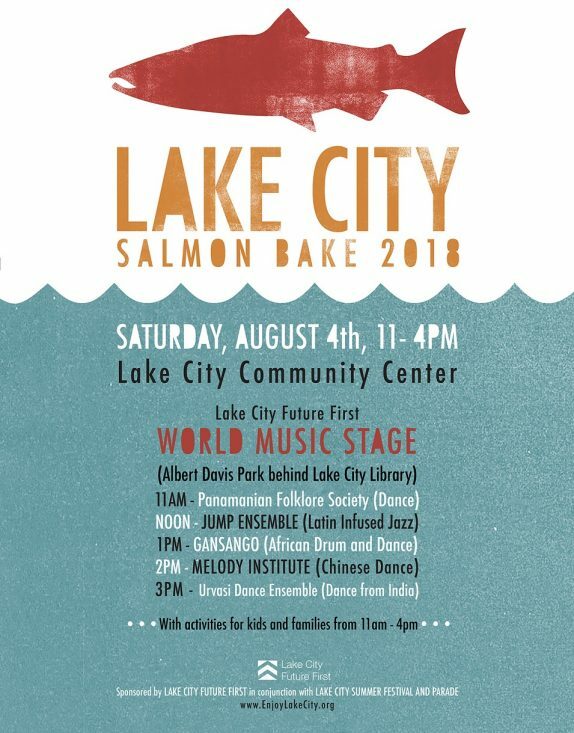 LCFF is extremely excited to be bringing back the Salmon Bake in conjunction with the Lake City Summer Festival and Parade”. Annie Stocker of Two Dog Yoga has done a stellar job of improving on the classic salmon bake meal. She was able to bring on a couple wonderful chefs from 21 Acres (http://21acres.org/). We will have fresh dinner rolls baked by a local Lake Cityzen, a delicious seasonal fruit dessert and fresh greens from the Lake City Farmers Market. More to come on the festival but for now…. We are so excited to expand our senior meal program, but we can’t do it alone. We need a volunteers to fill a variety of positions to provide more hot, nutritious meals to North Seattle seniors. Below are our greatest volunteer needs. If you don’t see something that is right for you, please forward these opportunities to a friend or neighbor who might be… our need is great! And don’t forget that every volunteer shift includes a delicious, made-from-scratch lunch as a small token of our gratitude.